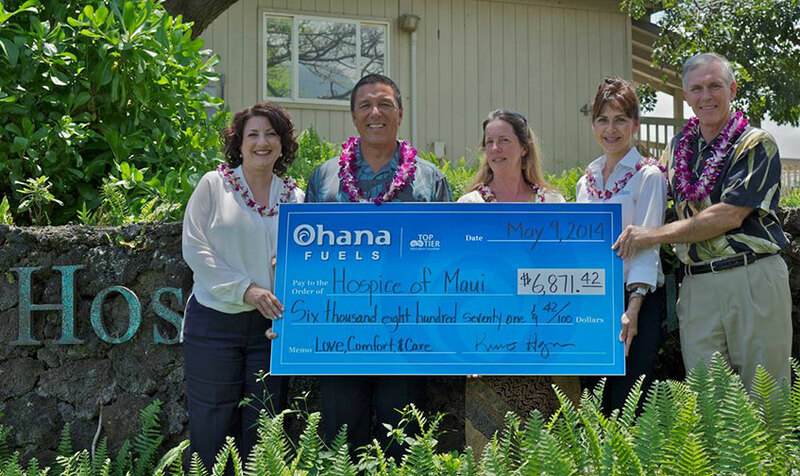 Ohana Fuels recently presented Hospice Maui with a generous donation of nearly $7,000! These funds were raised as part of the company’s “Fuel Up. Do Good” campaign. 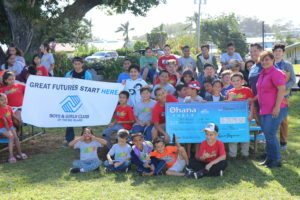 Hawaii Petroleum has pledged to provide ongoing donations to local groups and charities that impact the neighborhoods they serve by creating this “Fuel-Up, Do Good” program. 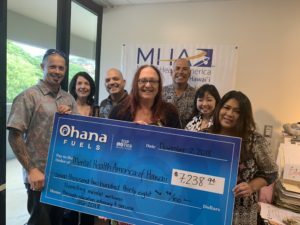 Every time residents of Maui fuel-up at Ohana Fuels, a portion of the gasoline sales are automatically designated to the selected Charity of the quarter. During the first quarter of 2014 proceeds totaling $6,871.42 were designated to Hospice Maui. “At Ohana Fuels, our first priority is “family” and everyone who lives in the neighborhoods we serve. So we’re proud to support the organizations and missions important to you, and Hospice Maui is one of those organizations,” stated Kimo Haynes, President of Hawaii Petroleum. 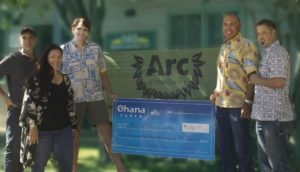 This gift comes just a weeks after Saltchuk, the parent company of Ohana Fuels, granted $15,000 to Hospice Maui toward their Facilities Expansion Project. Hospice Maui’s project includes Maui’s first residential Hospice Home as well as a new Hospice Care Coordination Center, a $3.5 million dollar project that is expected to break ground in 2014. Saltchuk is a family owned company, and the parent company of Aloha Air Cargo, Hawaii/Maui Petroleum, Ohana Fuels, Minit Stop, Young Brothers, and Foss Hawaii. For 33 years, Hospice Maui has been meeting the needs of Maui’s most seriously ill patients and their families⎯ Hospice Maui is committed to providing quality, compassionate care to help ease the physical, emotional, and spiritual pain associated with illness. They provide services that allow patients to live each day to the fullest, with meaning and purpose, wherever they call home, in accordance with their deeply held values and beliefs. The Hospice Maui team is comprised of nurses, social workers, spiritual counselors, hospice aides, volunteers, and physicians who work directly with the patient, their physician, and the family itself. About Ohana Fuels: Ohana Fuels, a TOP TIER™ brand of Hawaii Petroleum Inc. is on a mission. We pledge to provide ONGOING DONATIONS through our “Fuel Up. Do Good” community giving program to local groups and charities that impact the neighborhoods we serve. Ohana Fuels has eight SAFE, CLEAN, CONVENIENT locations across Maui and four on the Big Island. Ohana Fuels gasoline has been certified as TOP TIER™ to meet the premier standard of gasoline for optimum performance and fuel efficiency recognized by seven of the world’s top automakers, BMW, General Motors, Honda, Toyota, Volkswagen, Mercedes-Benz and Audi. TOP TIER™ additives help clean your engine; optimize fuel economy; eliminate hesitation, stalling, and rough idling; restore optimum performance; and reduce emissions. For more information visit OhanaFuels.com.